About 70 Native American high school students will be working with national admissions representatives and counselors on the River Campus this week as part of College Horizons, a college access and success program hosted by the Office of Admissions. 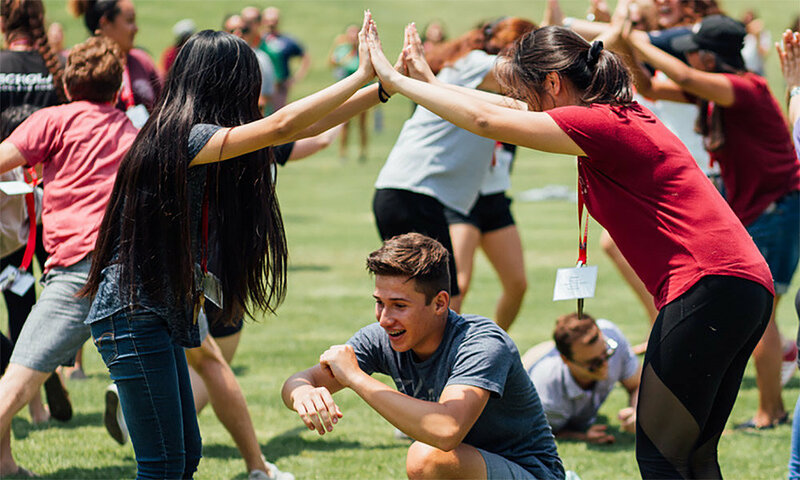 Students from South Dakota, New Mexico, Oklahoma, Minnesota, Washington and other states will work with representatives from colleges such as Brown, Cornell, Duke, Stanford, and Yale. Founded in 1998, College Horizons is dedicated to increasing the number of American Indian, Alaska Native, and Native Hawaiian students succeeding in college and graduate programs, through admissions and financial aid workshops. Students are at Rochester through June 30. They’ll complete college essays and resumes and learn test-taking strategies while they also craft lists of schools that align with their values, interests, and financial needs. The University also hosted College Horizons in 2011. Jonathan Burdick, vice provost and dean of College admission, secured Rochester as the 2011 host site after visiting a College Horizons program the year before in Hawaii. Students visiting Rochester represent more than 30 different nations, including Seneca, Cherokee, Navajo, and the Cheyenne River Sioux Tribe. Originally posted in the University of Rochester Newscenter.